A lot can be expressed with simple black-line artwork just as it was back in the 12th to 16th Centuries. 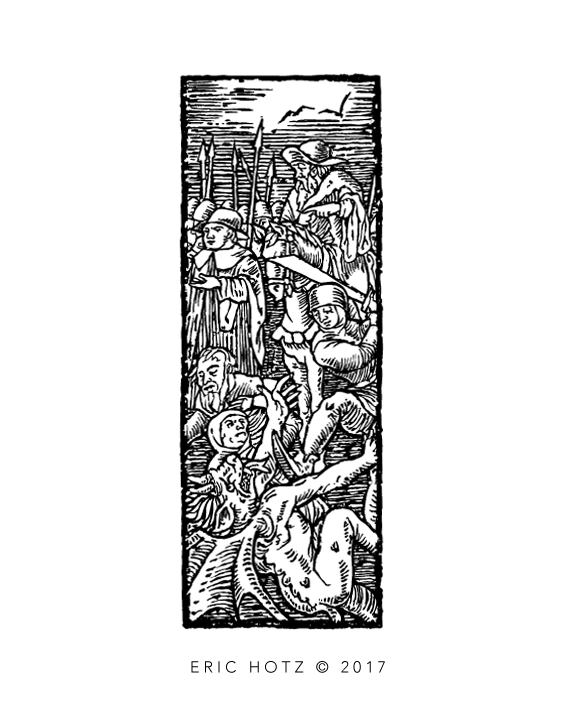 Traditionally, all European woodcut art was printed using just black ink. If color woodcuts were used in a book, they were hand colored after they were printed and often by the owner of the book themselves. Some books were sold containing hand colored woodcut images but these were uncommon, at least prior to the 16th Century, and far more expensive than books that contained single color woodcut prints. The Roc: popularized in Arabian fairy tales and sailors' folklore, the Roc was a mythical giant eagle. 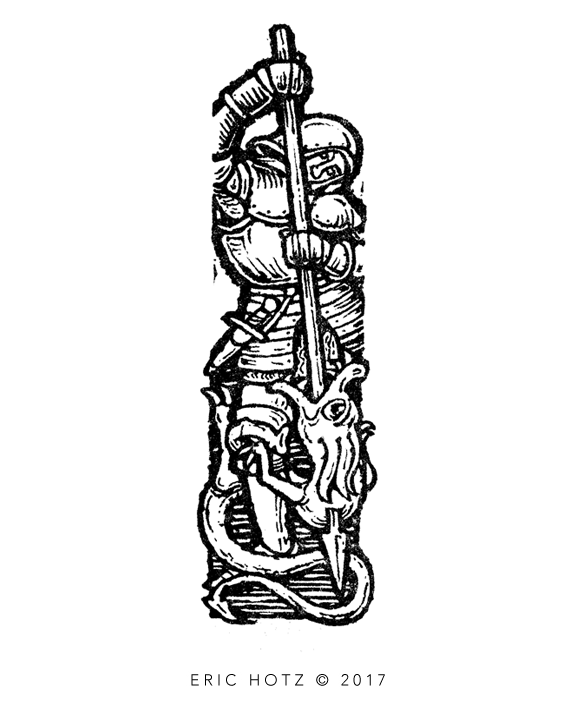 This illustration ended up in a medieval bestiary book. 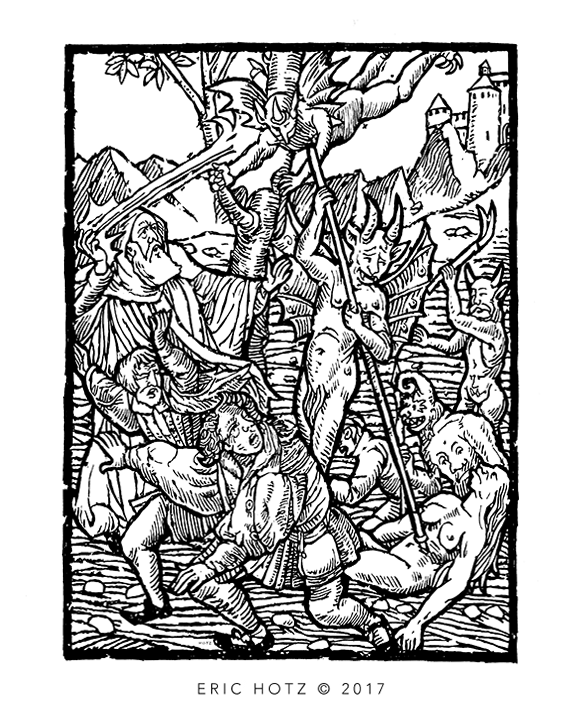 Strangely, its one of my favorite illustration and was only one of several illustrations in the bestiary book rendered as a woodcut. This could very easily be made into a series of illustrations for children books. Medieval Battle: Good vs Evil. 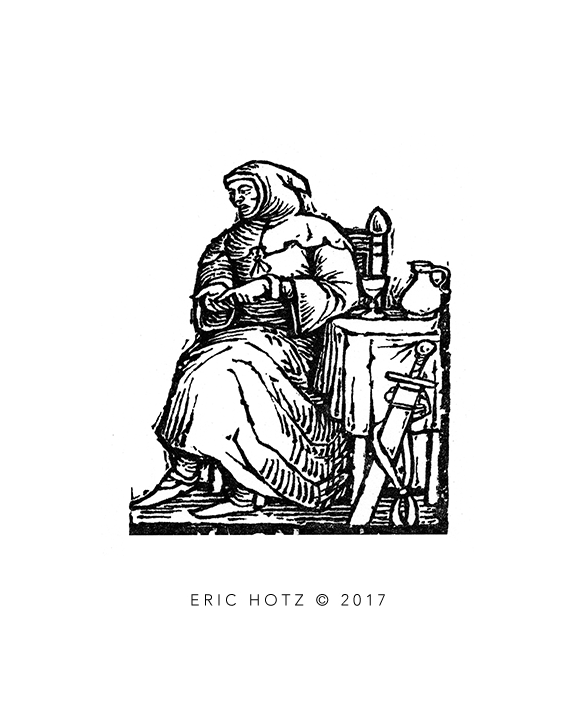 I was asked to rendered a number of medieval of woodcut images for a series of book. This piece was just one of these images and took a bit of time to complete, and despite the subject matter, I like how it turned out. Traditionally, such artwork was supposed to scare the viewer into going to church. Apparently this was a problem in medieval Europe. Summoning Cthulhu. 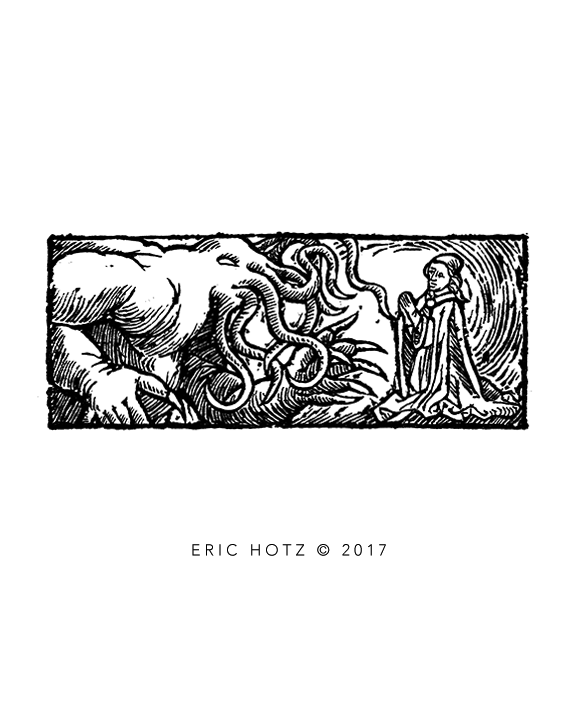 This was part of a commission for a game book for the Cthulhu RPG game. There were 10 pieces in this commission. Making a Point: This piece was part of several woodcut illustrations I was commissioned to create for a client. They were all finally rendered in full color, but I first start with the black line art and then I color the piecesr, the same way full color medieval woodcuts were rendered 600+ years ago. Medieval Battle: Good vs Evil. Another commission showing a Christian army triumphing over an army of evil. Apparently this was a running theme throughout the medieval period that continued until the 16th Century, or more. The Dragon Slayer. 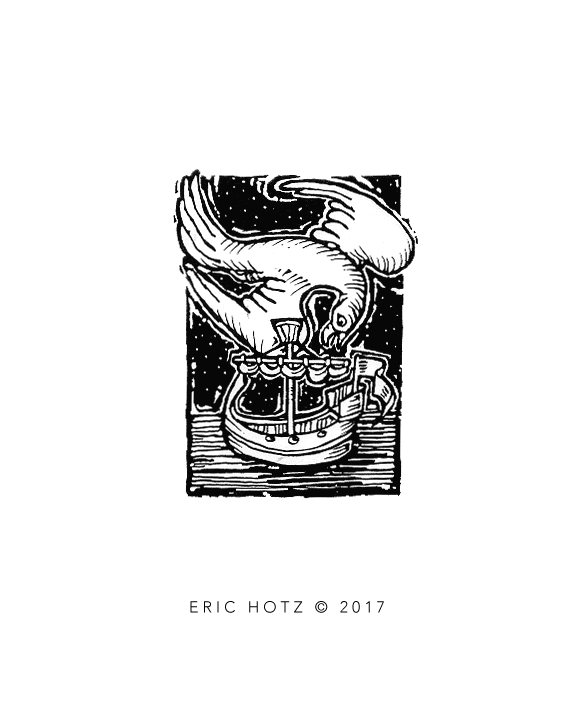 This was one of several woodcuts that I was commissioned to create as boarder art, or margin art, for a book. I later rendered this piece in full color and put it in an art gallery showing. It sold for $125 unframed. This leads me to believe there may be other markets for my artwork.